Heavy Duty Transport Chair Rental Near the Boston, Massachusetts area. This comfortable, lightweight transport chair is equipped with 12? rear wheels and can support up to 400 lbs. This transport wheelchair folds and fits in any vehicle trunk. To learn more about renting a bariatric transport chair please give us a call 855-675-2132. Delivery available to areas like: Newton, Needham, Wellesley, Framingham, Worcester, Westborough, Shrewsbury, Springfield. Lightweight Transport Chair For Rent in Boston, MA. The lightweight aluminum chair rental is equipped with full-length arms for added comfort, locking rear wheels and fold-down back chair. 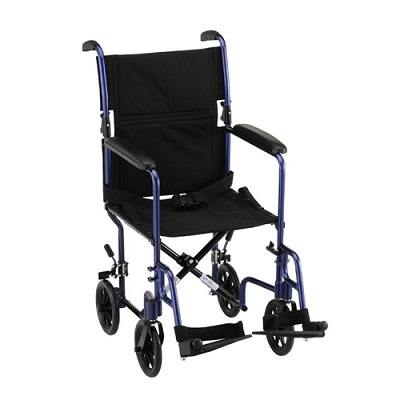 To learn more about renting a lightweight transport chair please give us a call 855-675-2132. 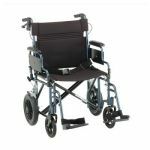 Transport chair rental deliveries to areas like Newton, Needham, Wellesley, Framingham, Worcester, Westborough, Shrewsbury, Springfield in Massachusetts.